The 2019 Nissan Altima sees some key updates, including the option of all-wheel drive and the ability to get a new turbocharged four-cylinder that comes from the Infiniti lineup. The Altima is available in your choice of five main trim levels, with eight different models when you factor in those with the special engine. 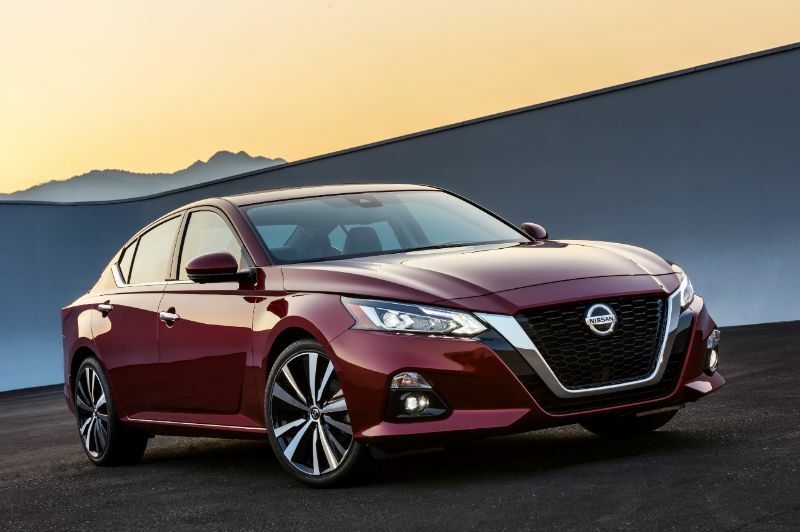 The latest Altima, starting at $24,155, has a sharper appearance for the 2019 model year along with an improved body. The creased hood is unfettered, and the shunt lines are now by the fenders. The large maw of the Altima may not appeal to some, but others find it to be a great addition. The sides feature a neater profile than drivers may remember, with a character line leading from the front fender all the way to the rear taillight. There is also a subtle bend that meets this character line by the window and starts by the front wheel. The placement of the rear door handles higher than those in front is unique, and there are also chromed door handles. The floating roof remains but is a bit more tamed than before. Most 2019 Altimas use a 2.5-liter four-cylinder engine to deliver 188 horsepower. This engine works with a continuously variable transmission. 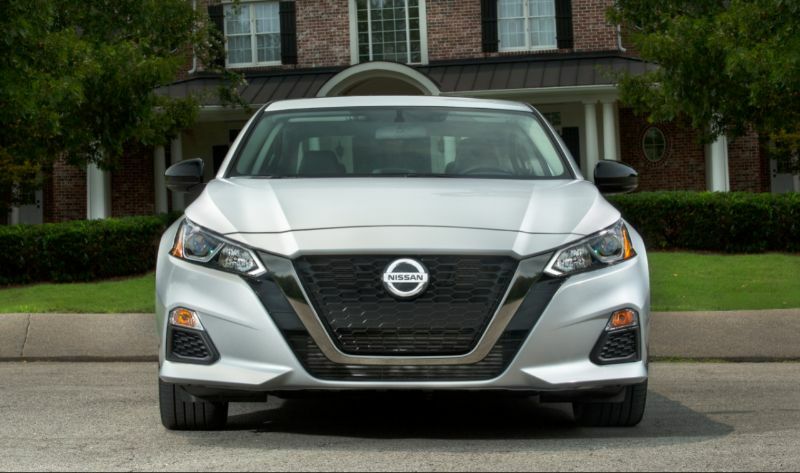 Nissan revised the base engine for the 2019 model year, leading to an increase of 9 horsepower and the ability to get 32 mpg. If you opt for the SR trim, you also get paddle shifters. This four-cylinder is the only engine that you can pair with all-wheel drive, making it a strong choice for those who live in areas with tough winters. This system starts with a 50/50 split of torque from front to rear but has the ability to improve efficiency by sending all the power to the front or to improve sportiness by sending 70 percent of the power to the back. 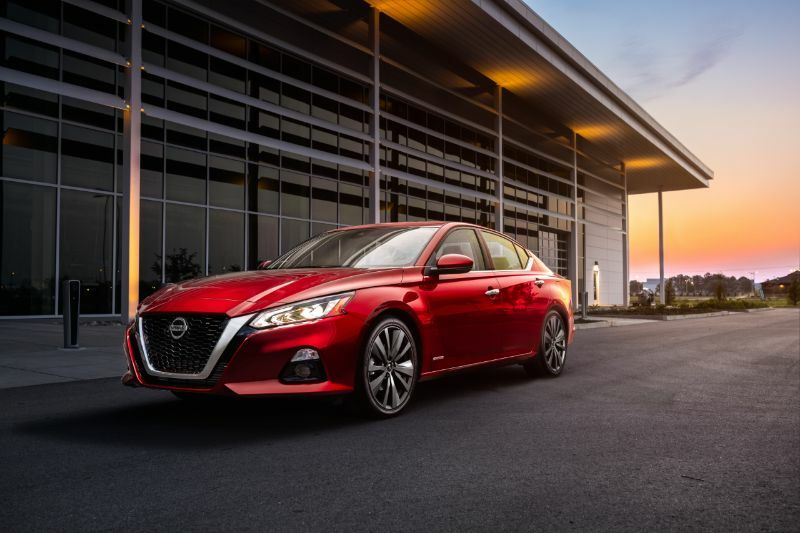 Instead of the V6 offered in the previous model year, the 2019 Nissan Altima offers a turbocharged 2.0-liter four-cylinder with 248 horsepower along with 280 pound-feet. This engine comes from the Infiniti QX50 and maximizes both fun and efficiency. It has variable compression, letting it adjust its operation to enhance power or efficiency. Those who want stiffer steering and uprated rear shocks should consider the Altima SR.
Every single 2019 Altima sedan comes loaded with safety features, including automatic emergency braking. Most models also have blind-spot monitoring, rear automatic emergency braking, active lane control, and adaptive cruise control. You can also add the ProPilot Assist suite of safety features. This feature helps reduce driver fatigue by following the cars ahead and keeping the Altima centered. The Nissan Altima comes loaded with great features, including a standard 8-inch infotainment touchscreen. This screen always includes four USB charge points, Bluetooth connectivity, Android Auto, and Apple CarPlay. Other standard features include keyless ignition and remote start. If you upgrade the Altima, you can also get premium audio, a surround-view camera system, a moonroof, and leather upholstery. 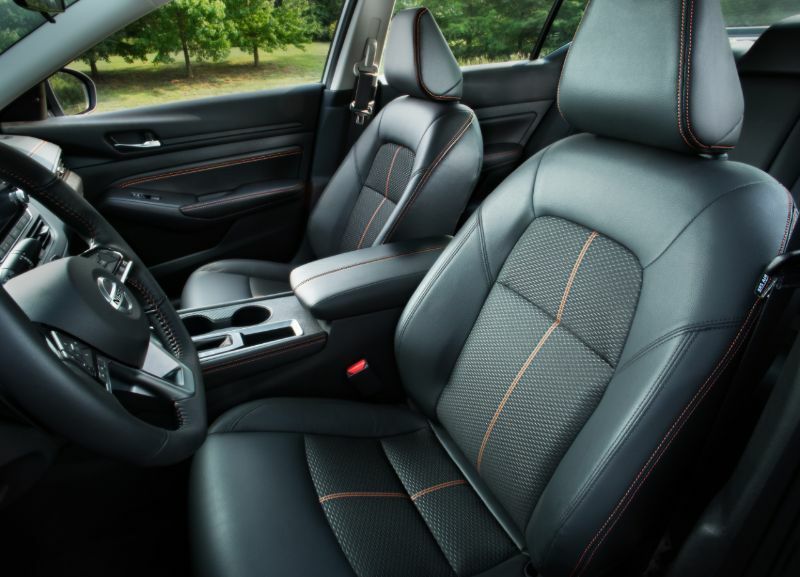 Higher trims throw in features like remote start featuring climate conditioning, sporty styling, and a heated, leather-wrapped steering wheel.